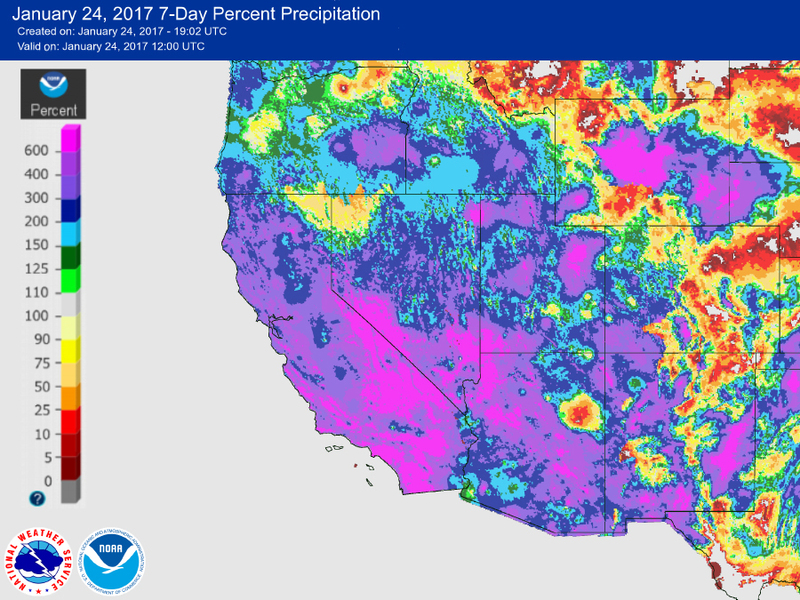 Parts of California received 600 percent of their usual precipitation in the past week, and it was able to put a big dent in the state's drought troubles. Most of the rain and snow fell in the southern half of the state — where they needed it most. 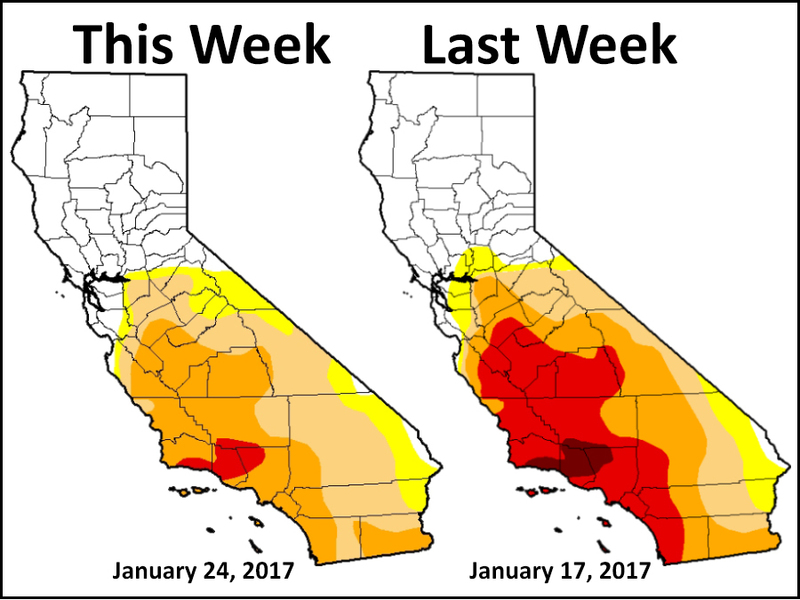 All of that additional precipitation eliminated the worst drought conditions and vastly improved areas experiencing extreme drought. Nearly a quarter of the state was in extreme to exceptional drought, the two worst categories, and now that area has fallen to roughly two percent. The drought is essentially limited to the southern half of the state now, which is a huge improvement when compared to last year at this time when the entire state was under some form of drought. Local precipitation records indicate January has been the wettest ever observed across the region in 112 years of record keeping. The statewide average snowpack across California is almost twice the norm for late January. The current snowpack actually exceeds what's usually recorded at the end of the season on April 1. All of this is great news for a state that's been dealing with significant drought since 2011. Unfortunately, during the entire drought, many were forced to use groundwater. So while snowpack and reservoirs may be back to where they need to be, it'll be months before we can see if recent rainfall can replenish wells at critically low levels.